Alcove carries a wide variety of Heritage Bird Shanties and wind chimes by the Heritage Workshop & Gallery. 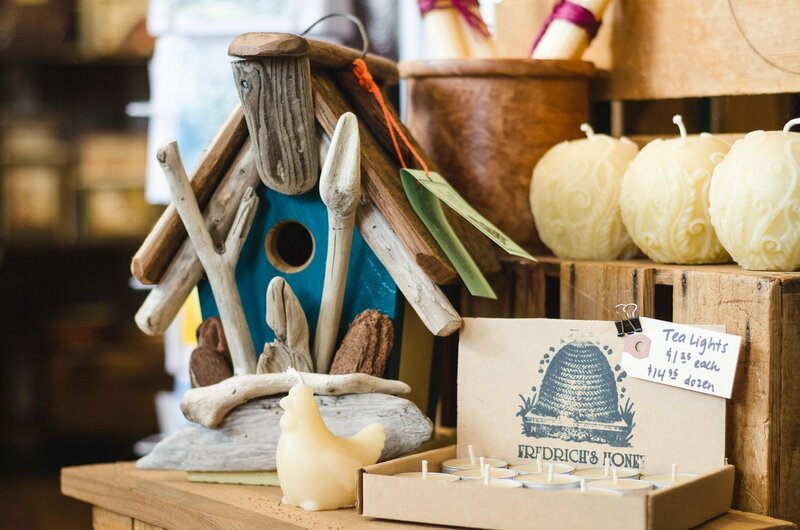 The Heritage Bird Shanties are one of a kind decorative bird homes, hand crafted on Salt Spring Island at the Heritage Workshop and Gallery by resident artisans Frank Ens and Michelle Gojkovich. Each unique Shanty is constructed of recycled, weathered cedar shakes, untreated, recycled lumber, and found driftwood pieces from the west coast of Vancouver Island.